We are pleased to announce that Scott Holmes has joined Strongwell in the position of Project Engineer. Scott previously worked at Power Distribution Products in Chilhowie, VA where he held the position of Mechanical Designer. He brings fifteen years of experience in the engineering field to the Strongwell team. 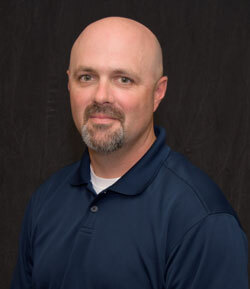 Scott has Bachelor of Science in Engineering Technology from East Tennessee State University. Scott is well versed in Autodesk Inventor, machine shop flow, and process automation. Scott enjoys spending time with his wife and two children. Scott is active with his children’s sports teams. He is also an avid outdoorsman where he enjoys rabbit and deer hunting. Please join us in welcoming Scott to the Strongwell team.